Yoogo fleet exists simply to optimise your fleet. Yoogo fleet uses a blend of leading edge technology combined with our fleet scientists to optimise both your fleet size and your fleet utilisation. In addition, Yoogo Fleet are experts at working with customers who wish to integrate emerging technologies such as Electric vehicles into their existing combustion fleet, in an economically viable way. Yoogo Fleet offers a comprehensive service and will manage all aspects of the lease vehicle. Excess kilometre charges are very favourably set for all UBT deals at a buffer of 10,000km! Yoogo Fleet places great emphasis on being customer-centric and efficient. Put us to the test! We have access to significant discounts on vehicles which ensure our products are well priced. With discounted repair and servicing networks, Yoogo Fleet works hard to provide affordable vehicle services. We are flexible when it comes to asset funding and are available to discuss your financing needs at any time. Our state of the art technology allows us to guarantee compliance with RUC, Rego and WOF throughout an operating lease or managed product. When it makes more sense to own your vehicles, Yoogo Advantage can manage them on your behalf. You get many of the same benefits you would receive if leasing. On top of that, Yoogo can offer insights into your fleet that will enable you to be more efficient, compliant and profitable! In many cases an operating lease will deliver the best use of cash and cash flow. There are no upfront costs. 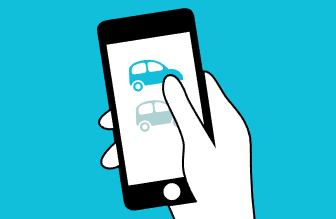 Simply pay a fixed monthly rental and hand the vehicle back to Yoogo at the completion of the lease. Enjoy the luxury of no lump sum payments. No need to write a big cheque for capital expenditure. An added bonus? All costs are fully tax deductible and there are no concerns of a depreciating asset. Perhaps you would like to own the vehicle outright but need to arrange finance? 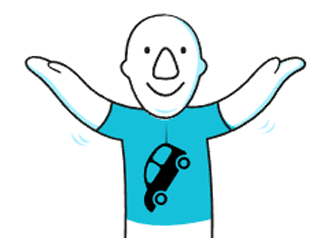 Yoogo Finance may be the answer, whereby a residual value for the vehicle is agreed upfront. You agree on a term, at the completion of which you pay Yoogo the residual value and full ownership is yours. We may even consider to refinance this amount over a further term in certain circumstances.